Hier gibt es ein kleines Interview über mich bzw meine Reisen. Was kann ich sonst noch über mich schreiben?  on this site i would like to provide you with some links to my bicycle journeys around the world. What can i write about me? I’m from 1981 but already lost most of my hairs. I’m still crazy for touring cycling in the world, i love the winter, especially snowy days, i’m crazy about polar/aurora lights, i’m a pretty bad tennis player.